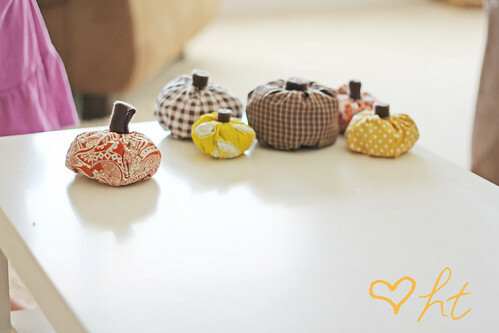 In my falling for fall mood, I just had to create some pumpkins! I’ve seen them made all kinds of way in my short life and figured I would just throw some together. 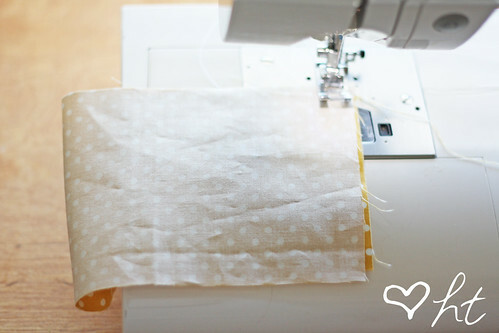 One of my goals was to use up fabric I have because our move made me realize I have way more than I need and I need to utilize what I have whenever I can instead of buying more. I was very happy that I had some fall like fabrics to make this work (or they might not have come out the way I wanted them to). My daughter immediately took to them (as she does anything I make). She has already taken them to several stores and to our friends house who so graciously watched her last night so the hubby and I could go on a date. 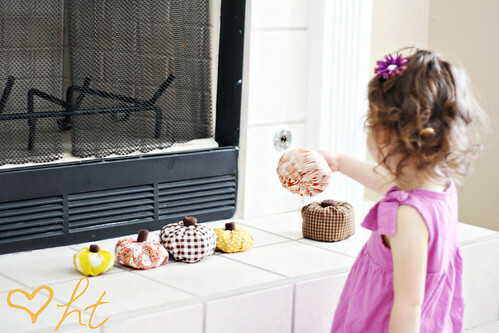 I began with them on the fireplace and soon after the picture was done, she began to move them around. Next, they went to the floor….. 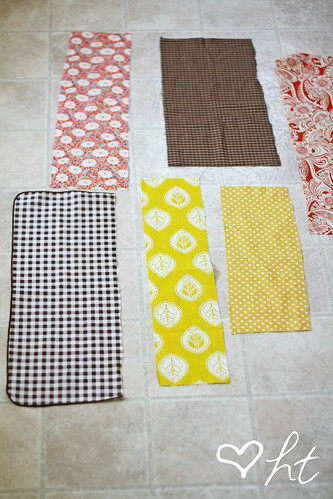 Grab some fabric and cut them into rectangles. The long side will make it more scrunched up looking the longer you make it, and the short sides will be the approximate height. 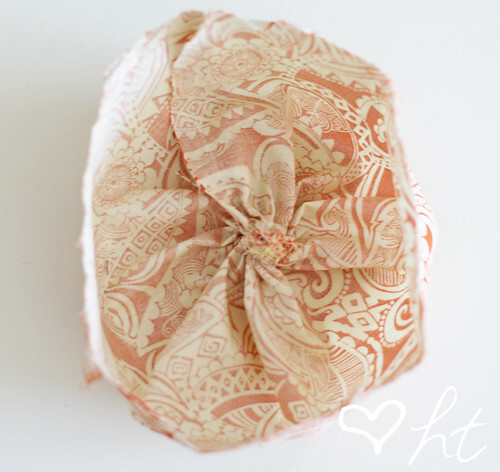 Fold them in half long ways, right side facing, and sew the short sides together. 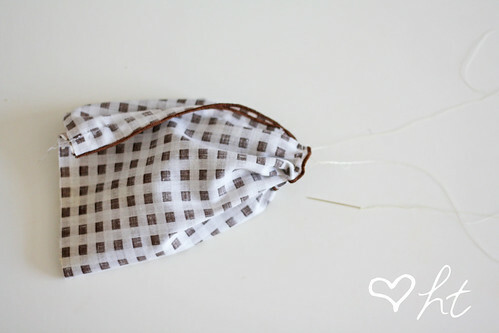 You could hand sew it or even glue gun it if you wanted. Now baste and gather the end that will be the bottom. 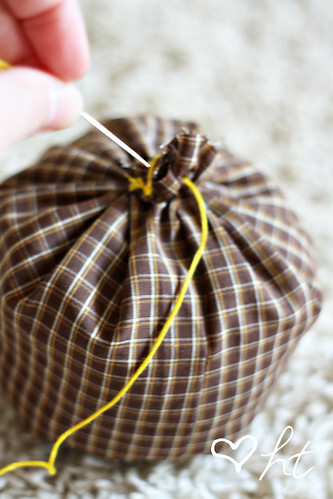 I used a needle and thread, but you could baste it with a sewing machine too. 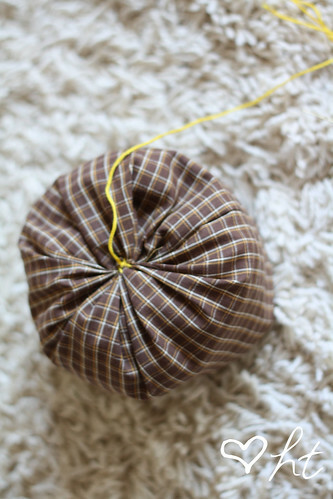 Then knot it really well and turn right side out. Fill it up now. I just used t-shirt scraps because they are heavy and would keep the pumpkin weighted well. You could also put some beans or rice in the bottom to help give some weight then finish off the top with stuffing. Now baste and gather the top, making sure to leave a long end. Knot it really well too. Now with the long end, put it in the needle and thread right through the pumpkin coming out at the center bottom. Pull it tight, causing the top of the pumpkin to come down some, and knot the thread good on the bottom. I just felt like this helped give it a more indented look for the stem of the pumpkin. 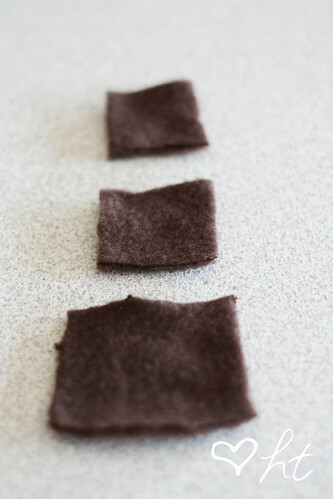 I then cut some fleece pieces for the stems. I played around with the size. 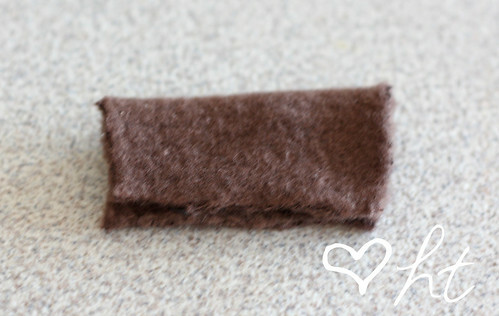 Fold down and hot glue together. I just did a row of glue on the bottom and the sides. Then roll it up and glue in place. I usually had to cut some off the bottom for the look I wanted too. 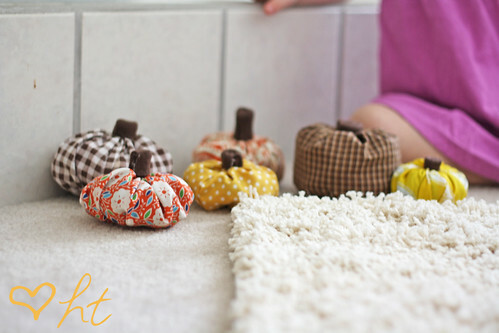 Then hot glue them on top of the pumpkin (or hand sew it on). These are wonderful and kid friendly!!! 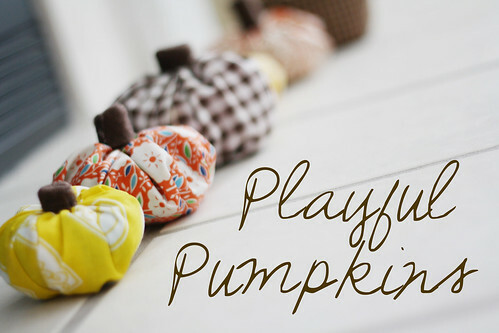 I thinkn’ I am gonna be making me some pumpkins!! 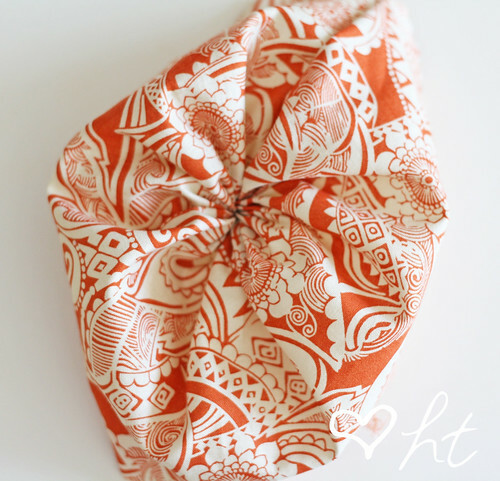 Would you mind hopping over and guest posting this on my blog? This is so adorable-not to mention your adorable little girl!! So did your move go okay? Everyone settled in yet? Love them! 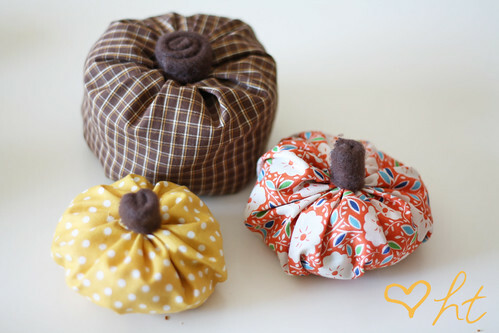 Those are just the thing to make with left over fall fabrics. Love it! So cute! 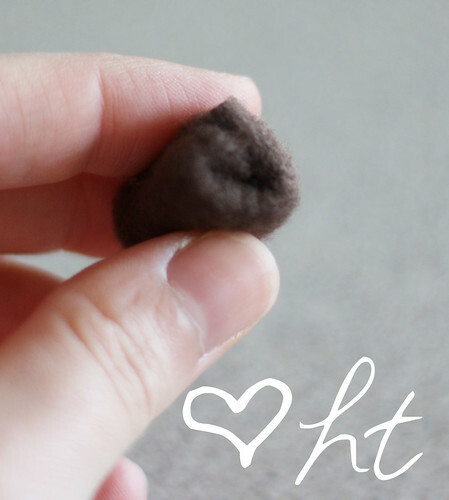 What a quick and easy way to make some homemade seasonal decorations! So very cute! Thanks for sharing the tutorial! Adorable. I love finding decor that is kid friendly. What a fun project! 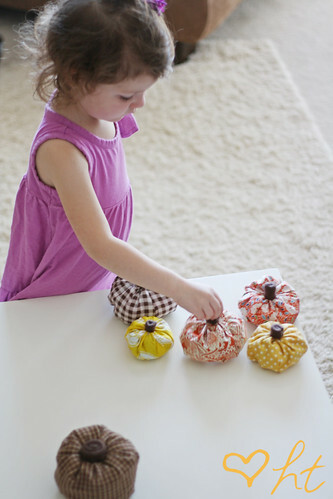 My daughter would love these and they’re simple enough that I could even finish them while she’s up and about! Thank you for this great tutorial! I’ve already used it and my little pumpkin turned out so cute! Thanks! How cute! Your little one reminds me of Ella. She is always taking the things I make, too. Those are SO CUTE!! What a great idea! 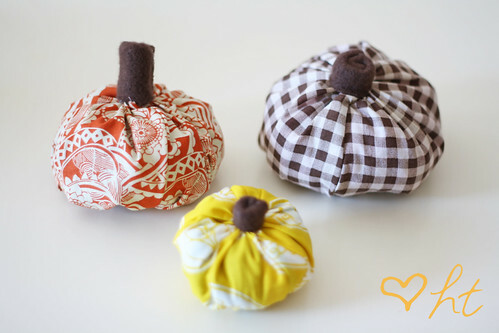 These are by far the cutest fabric pumpkins I’ve seen. I love that they are different sizes and they are kid friendly too. I NEED to make some of these for my coffee table. It’s pretty bare and is in need of some TLC. Thanks so much for sharing. I hope you are getting settled into your new place. hi again! 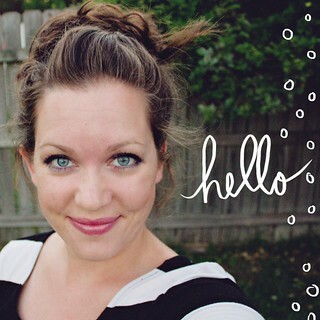 wanted to drop by and share the love…linked to your site on my blog! and of course made some! love these, so cheerful! Hope you are settling into your new digs, I have been teaching again, and reading blogs are low on the list, but I always try to get caught up on yours! Thanks for cute tut! 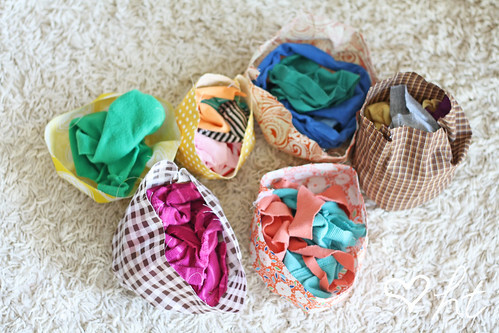 I am so in love with these and I love that you used T-shirt scraps to stuff these! These are just adorable!! I could see them for my niece and also for my coworkers to set on their desks, so cute! These are adorable! Definitely pinning these! Awesome idea! These are adorable!!! I need to try this! Thanks!!! 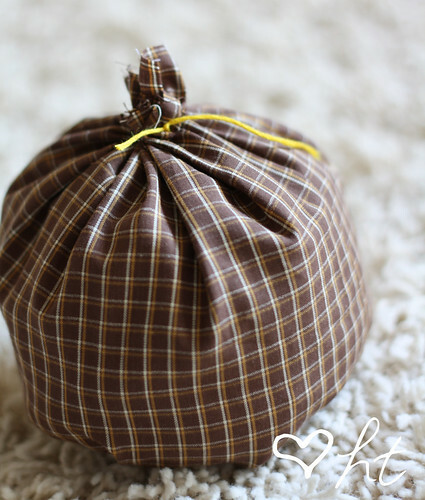 I know this is an older project but I just love it and wanted to let you know that I’ll be featuring it on my blog today in a fall roundup. Stop by and pick up a featured button if you’d like! Thanks for the great project. I adore these. These will be great to use all of my scraps. Who says pumpkins have to be orange?